September is clicking along in the MOPS office. We have been knee-deep in MOMcon preparation, MOPS Leader Certifications, the fall issues of The MOPS Magazine and Connections, and adding some new faces and talent to our staff. The steady daily rhythm is setting the pace for this fall and MOPS is moving! As your steps fall in line with all the busyness – school, activities, sleep-eat baby cycles – remember that you’re not in this alone. We’ve got your back as we keep in step with the Spirit. You’re amazing, Mama! Just ask us about one of our favorite events at MOMcon – it’s the biggest dance party ever, of course! 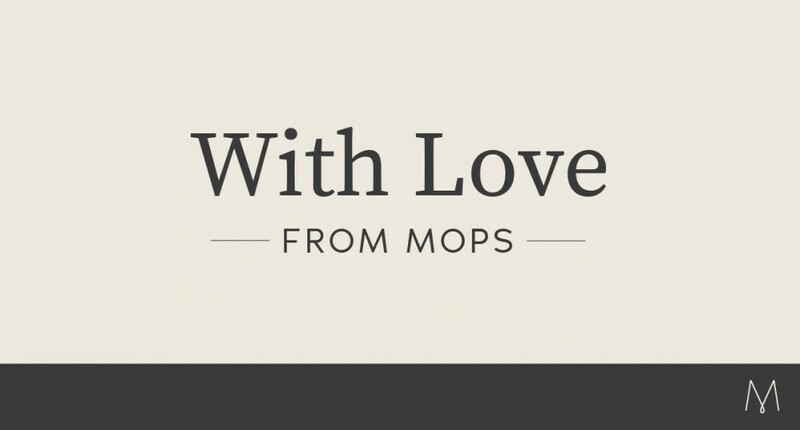 Don’t miss out on Peace, Love & MOPS and all things groovy. 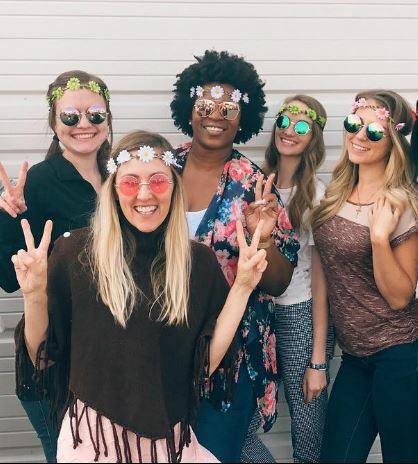 Release your inner flower child and join us in Kansas City, Missouri for MOMcon 2017. There’s still time to register, click here. 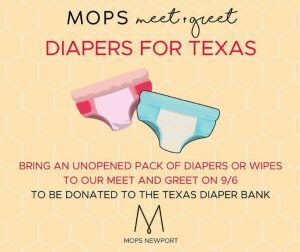 Raise two hands for the MOPS Newport group. 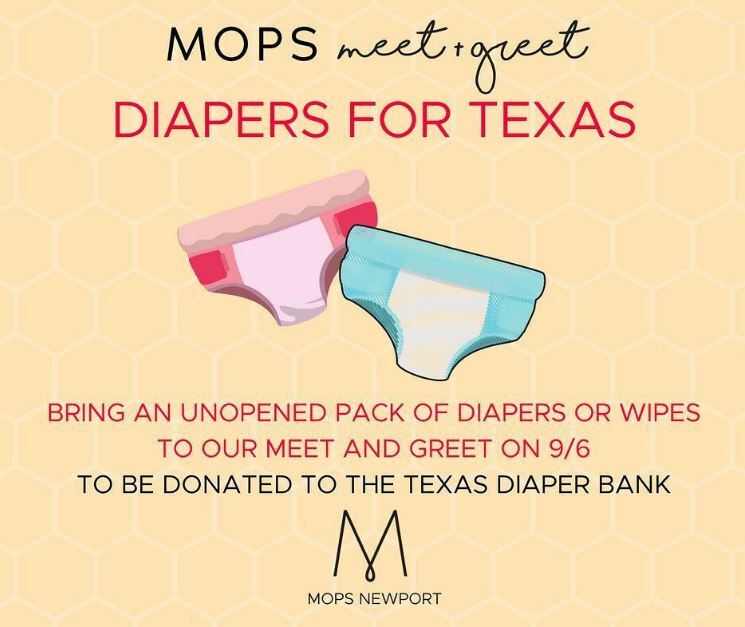 Through The Texas Diaper Bank, they are loving moms one diaper (and wipe) at a time to assist in disaster relief for Hurricane Harvey families. Read how this mama is dealing with the end of an era as her son begins kindergarten. Read more. Mama self-care. A must read.